What do you cook to feed a crowd but you are short on time and energy? …meatloaf! 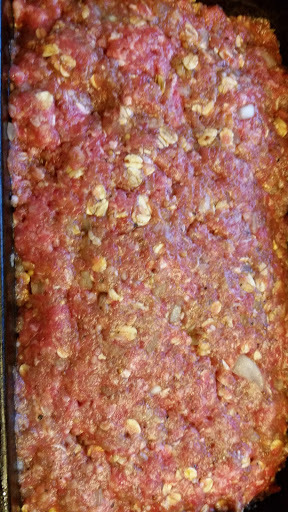 Place the meat mixture into a loaf pan, pressing lightly to form a loaf. Bake in a 375 degree oven for 50-60 minutes until fully cooked. About half way through the cooking time, I spread 2 tablespoons of ketchup over the top to make a glaze. This is completely optional. 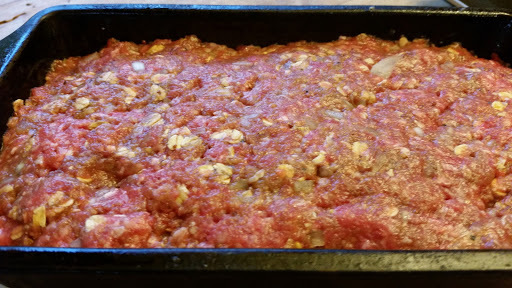 This meatloaf is very moist and tender. It almost fell apart while I was transferring it to a platter.